A look out the back door in mid December. There is a lot of dogma in politics regarding tax rates and general government performance. I personally have found that most people make statements about politics with literally zero data. On thanksgiving, I spent about 4 hours on the government data website – http://www.bea.gov/iTable/iTable.cfm looking at various numbers reported there. A reader, who shall be unnamed, even stopped by recently claiming that taxes were lower than 1950, conservatives only make decisions with emotion (a common claim applied to today’s Marxist authoritarian-style liberals) and even that we should have an 80% of GDP tax rate to maximize government revenue. Why maximization of government revenue (and therefore influence) is assumed a positive goal, is something you should ask one of those authoritarians, because it runs counter to everything a government should be attempting to do. Still, I found some interesting facts about government tax taking and spending. Are we paying more taxes than before? Taxes are taken from us in so many ways, it is very difficult to add it up. It seems from those of us experiencing it, that taxes are continually on the rise and rarely pull back even a little. Taxes are a financial load, where they are taken from does have an effect, but how much is being paid in total is important when we consider the cost to society. First I looked at the per capita tax paid into government across all sources. So in 2012 dollars 1950 population paid on average $4000 per person into the US government. In 1998 that had increased to 14000 per person! We are definitely paying more tax than 1950. What it also means is that if you have a family of 4 and you are paying in less than 4 x $14,000 = $56,000 into the government, you are paying less than your share of those taxes and they are being taken on your behalf from someone else. Most people don’t realize that even if they don’t write 14,000 in checks, they still end up paying that tax in the form of lower salary, higher prices, etc. and that means they have a loss of influence over cash. Loss of income (Taxation) in any form, is a strong limitation of behavior and is a general decrease of personal freedom. Said another way, when money is taken from your employer, that money was something you helped create, yet high corporate taxes mean you no longer have any control for directing the influence of that cash to your betterment. You are less powerful and free as an individual. I’ve shown this graph before. Tax rates as a percent of GDP haven’t changed much since 1960. They peaked in 1999 under Bill Clinton but the percentage of GDP dropped off precipitously in the last two years he was in office. Combining the first and second graph with the concept that the additional spending per capita by government results in a double-hit on the economy as businesses and individuals invest more money and time toward compliance with EPA, Education, IRS, traffic laws, employment law, and many many other well-known increases in regulation. As a percent of GDP, it should be obvious even to the left that the total governmental financial load per capita follows the first “total dollars paid” graph, NOT the percent of GDP graph. This is a very important point that is lost in the discussion of tax rates – this subtlety is often missed with intent. We are paying much higher dues for our government than we ever have in history. With each new group’s pet-peeve, excessive regulation has invaded every aspect of American life. The land of the free can’t make its own decisions even on the size of soda they buy. Obviously, compliance dollars are much harder to quantify than governmental budget dollars, so we will move on to some other interesting plots. I’ve shown a version of this plot before also, the 4 years since Obama took office are incredibly stark considering that we are not at war. Where this money is going is going to be a bit of a surprise to some here. I found this next plot worthy of writing this blog post. What this graph is showing is what percentage of government expenditures is being handed out as checks other than pensions or tax returns. If you get social security, social security disability, medicade, medicare, food stamps, unemployment checks, etc… this graph shows the total percentage of cash that is being handed to people in the form of checks. Until 1970, 20 percent of government revenue was used to help those in need. By the 1970’s we had reached a full 30% That held flat all the way until Bush junior took office, he managed to jump socialist style payments to 40% of tax revenue. I haven’t studied which policies did what, but the website I linked has additional numerical detail that could allow us to figure it out. What is again clear is that when Obama took office, he jumped total payments to “needy” citizens by an overwhelming 15%. We are now paying 55 percent of total tax revenue as checks to these deemed by government to be in need –– Starting in the first year he took office! Of the $14,000 taken from every American in some form or other, $7,700 is being handed out to the less successful. I can imagine no greater danger to economic health than this situation. Obama told us during the election that this was his intent. Remember the discussion with ‘Joe the Plumber’ where Obama said – “when you spread the wealth around, it’s good for everybody”. Now you can see the result of new policy in dollars in the graph above, what many aren’t noticing is what these payments to not work, are doing to society. A large chunk of this money is a massive incentive to single moms to avoid college and have babies. You can make solid five figures with health care if you avoid education and work while producing babies in the US and it isn’t hard to do. We have had dozens of employees who have chosen this rout. They work for a bit and when the benefits disappear, they go home and get the benefits back. They don’t make much money and complain that they are underpaid, but the money which used to go for salary 30 years ago, is being taken out the back doors of the businesses to support these massive social bribe programs, and ever greater regulatory costs. These people are being effectively enslaved, and when they go past child bearing age, they will have no skills, little personal property, and will end up with no ability to get out of the situation that this government created. Socialism, is universally ineffective at solving the problems it purports to address. These people, who are dis-proportionally minorities, are being effectively enslaved to low wage jobs and a long-term mediocre economy. The same programs have reduced barriers to entry for social security disability, allowing functional people to find loopholes to permanent paychecks. Back pain, mental issues and other problems which people were forced to work through have now become passes to a soft easy life. Worse, I don’t see many discussing these real and critical issues in a rational fashion. The media, which used to be the immune system for political corruption, largely believes in the endless flow of government cash and currently takes no time to call out pro-government politicians of any party. Republicans and Democrats both continue to march in the same direction as evidenced by the first graph in this post. Bit-by-bit and none too slowly we are reaping the increasing problems caused by these policies. It is blindingly obvious now that we should reverse course on much of the social spending and enact common sense pro-business, pro-industry reforms. Our quality of life in the US is being corroded by a bloated authoritarian central government, and is being rapidly replaced with something much, much bleaker. There has been a ton of interesting activity in the climate world and I’m tired of missing out on it. In case you haven’t noticed, Nic Lewis has established himself as a top expert on climate model performance. I don’t believe anyone in the climate community is turning out work to the quality and detail level that he is doing and eventually they will be forced to notice. Just because this is a “skeptic” blog, don’t assume Nic will take any of the opinions here as his own, they are mine. I’ve learned to trust his work though and that is admittedly the same problem much of the climate community suffers from, although their trust is based on something else. In other news, NOTHING happened at the poles this year. Stupid ice didn’t melt enough to drown a single penguin well enough to make the news. Polar bears moved north and the polar bear waterwing emergency delivery from greenpeace fell from the plane onto hard ice. SOB, life is tough for the six figure climate scientists. The IPCC report fell on deaf public ears. The complete failure of climate models was covered up by some nonsensical graphs and apparently the summary for “policy makers” (money takers) fell well short of Real Climate projections. Astounding considering there were still plenty of falsely exaggerated climate prognostications written by the now sans-credit IPCC, but we all knew anti-scientific claims were still coming. I spent 20 minutes explaining to my son today that we live on a peninsula surrounded by fresh water and that it is ok to run the faucet while brushing his teeth. The water comes from the ground and goes right back into it. Net zero. Deprogramming is becoming a significant job as public schools, television and even scouts sells the same nonsensical message to the younglings. I’m supposed to find ways to save energy as a goal! Why would we do that when there is more energy than matter? Shouldn’t we be conserving matter? Hmm.. Well poop is matter and there seems to be plenty of that to go around. Europe and Australia are beginning to wise-up that environmental and social costs can actually cause poverty in socialist style government. It looks like the faux environment laws are the first casualty. Who knew that if you took enough money from people, they wouldn’t have any left? Amazing! So then there is the stupid old denialist temperature. 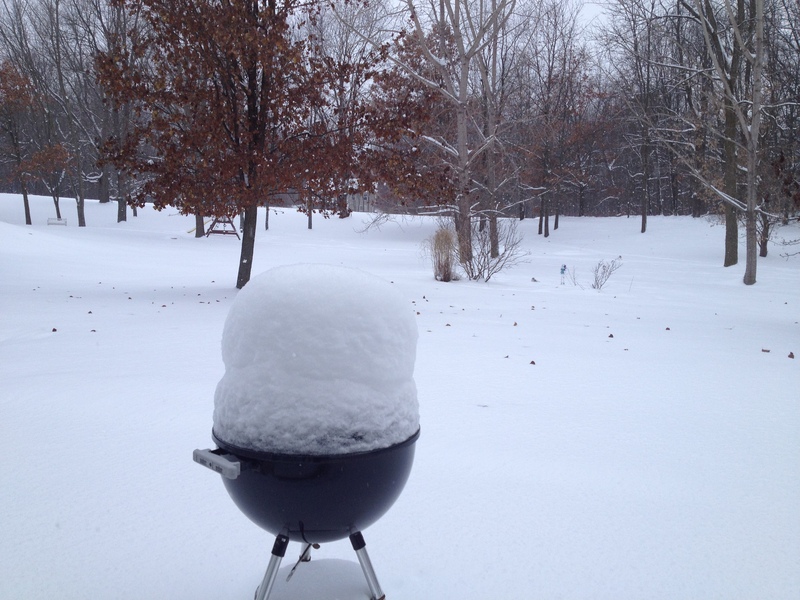 That thing that won’t rise no matter how much Cialis the global government inspired UN-IPCC feeds the paper stack. For those who already know the shtick, in recent years it is hard for the Goddard Institiute for Space Studies to update their temperature series to this actual decade. Apparently the picoseconds of time for global temperature averaging required by Nasa supercomputers in the last 6 years was where sequester cuts were made! I’ve used older and less amazing laptops than this one in the past so if Gavin would like me to do the work, I would be happy to calculate the graph for them. They do have to ask nicely though as my vacuum tube is flickering. Free work isn’t truly free – especially in government. This is something I found very surprising. Randy Schekman – THIS years Nobel prize winner for medical Physiology flatly stated that Nature and Cell and Science, are no longer up to par for consideration of his lab’s work. Interestingly, Nature put Real Climate regulars Steig and Mann’s flawed work right on it’s cover. For an “in-the-news-today” Nobel scientist with little future need for money or fame, to take a public political stance against major journals, before even taking possession of his award —is unheard of. The same Nobel organization gave the peace prize to Obama before he took office, is not well known for its apolitical or anti-establishment nature. Wow! Then climate science finally found a new (better) solution for climate models. The ACTUAL science fiction world – Pure genius. So I finally got a deer – while hunting! I’m 44 so most had completely given up hope on me ever shooting one, and the office humor revolved around how much drinking we were going to do and whether I was going to bring the gun this year, but the area we hunt in isn’t particularly easy. It took me quite a few years to realize some of the tricks to finding the critters in dense human-free woods. Normally our deer camp has a good sized crowd of die-hard hunters ready to teach me what to do, but this year multiple camp regulars were hit with serious family related problems so the population of our thousand plus acres of Gaia’s wilderness, was approximately two. Dad and I had a great time but when ‘Sausage’ the deer poked his head from the woods, things got pretty interesting. 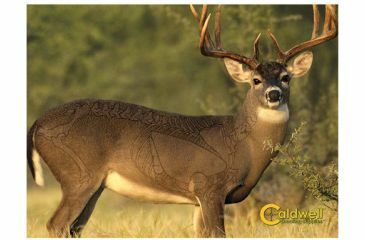 Having 6 or 7 hunters to help with some of the inconveniences of shooting deer, is a lot different than two. Sitting in my ladder stand on opening day this year, the weather was warm and there was a lot of activity in the woods. If you have ever spent extended time in the woods, you find hours of dead silence and times of amazing activity. In a tree stand, the wildlife seems to have a hard time recognizing that you are any sort of threat. After all, there aren’t that many two hundred pound predators lurking in the tree tops. A red squirrel spotted me at one point, but didn’t know what I was so he ran up the pine tree next to me and ran out on a branch to where I could have reached out and petted him. Its important to sit still though so the critters don’t cry out an alarm so we just looked at each other for a while until he got bored and left. Being the natural-born hunter that you know I obviously am from the intro, there were plenty of mishaps during the day. I dropped a glove, 14 ft down and had to go get it and later on I got so tired I was falling asleep in the stand – not the safest thing to do even with modern harnesses. I began shooting video of myself in the tree with whispered commentary, because it was keeping me awake. I was talking about how the deer would wait to come out at dusk and pointed out where they come from and which way they would go. It didn’t help me completely though because I put my head down on the shooting rail at around 2pm and the next thing I knew the iPhone was on the ground – 14 ft down. Still, I kept hearing the shuffle step of deer in the woods behind me during the day. It kept me excited but right-or-wrong I was certain from past years that the critters weren’t coming out in daylight hours. Deer like to take a few steps then stop. It takes some experience to separate their sound from the sound of other wildlife. Red squirrels are actually louder in dry leaves and even snap twigs on occasion. Deer and large animals snap big twigs. Then there is the sound of falling logs and breaking branches from the natural processes of the general woods. You learn to hear the differences though. I wanted to wait for him to walk closer but he was way too alert though so I was expecting that rear-hoof stomp and that would be the last time I saw him. The antlers were still a hint on his head against the trees behind but I was sure and took the shot. The whole thing lasted under ten seconds. Eight years of hunting in the UP of Michigan and ‘Sausage’ and I knew each other for less than 10 seconds. Unexpectedly, instead of laying down, Sausage decided to run! He took off into the woods running low and fast like a cat escaping certain vacuum cleaner doom. I wasn’t worried though, he wasn’t going far, I unloaded (removed) the other two bullets from the rifle I normally use and realized that I was shaking like a leaf. I took 15 minutes getting down from the stand and gradually walked toward where Sausage was standing. There were hoof prints but no blood or fur! I spent 20 minutes using my best engineer tracking skills (none!) and Sausage the deer was not there, there was no blood, no fur and nothing to indicate that he had any intention of becoming dinner. Just to be clear, that is not typical for a shot from a 2700fps 180 grain 30-06. It was getting very dark and Dad had driven the truck to my pickup spot so I went to him and we tried finding him together in the dark. No luck, no sign, nothing. We went back to the cabin and had dinner. I spent the night worrying about whether I had actually hit him or if a twig had deflected the bullet. It didn’t make sense. From the deer’s reaction, I was certain he was hit but there was no blood. A book in camp called “Finding Wounded Deer” told a story of a double lung shot with no blood so I found that somewhat reassuring. The next morning we went out in bright daylight and still found no sign that he had been hit. We followed the tracks into the dense woods and Dad found Sausage right away. He hadn’t gone even 40 yards. It took the two of us 2 1/2 hours to get the deer out of the woods. We had three mechanical problems with the game cart, dense woods to contend with and the fact that Sausage was pretty big for a UP deer! We were very tired to say the least. 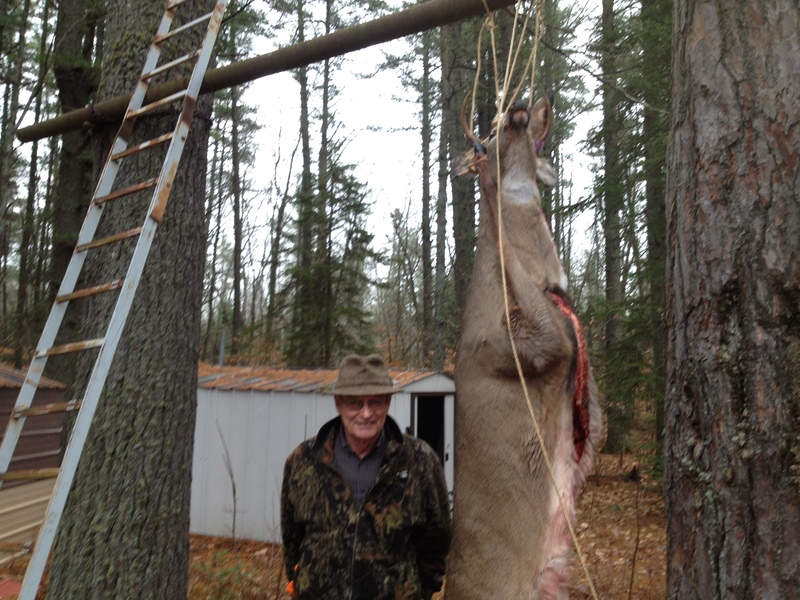 To give an idea of the size of him, this is a shot of my 6 foot tall father standing next to him on the deer pole at camp. We got it done though. My field dressing skills turned out to be not much better than my 3yo son Ethan on a stick of butter but that got done also. The bullet entered the right side, snapping the upper leg bone, passed through the chest and exited the left side rib cage. On expert forensic review, the bullet actually turned immediately after the left side rib cage and traveled outside the ribs and under the skin without exiting. No external blood whatsoever! I had actually hit the heart and lungs at a good distance so my night of fretting about a long track or not being able to find Sausage, was completely wasted. By the time we got him to camp and hanging from the pole, I was very tired. So when I shot this video and I tried to smile as much as I could, after 8 years of hunting it wasn’t that hard to do.